A percentage of the net income from each Affiliate supports the Komen Research, Evaluation and Scientific Program, which funds groundbreaking breast cancer research, meritorious awards and educational and scientific conferences around the world. 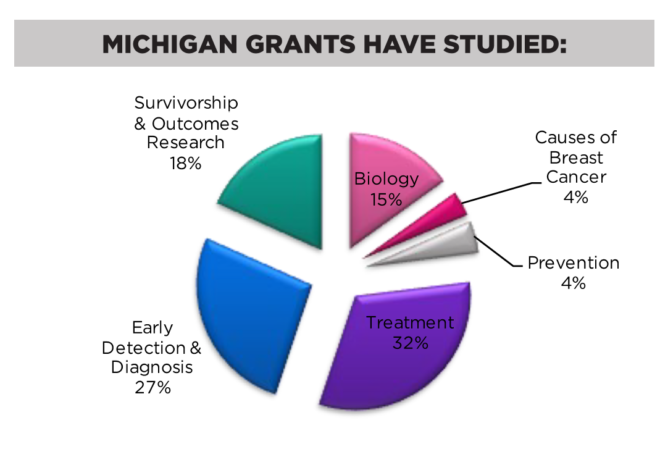 The first Susan G. Komen research grant in Michigan was awarded in 1995. 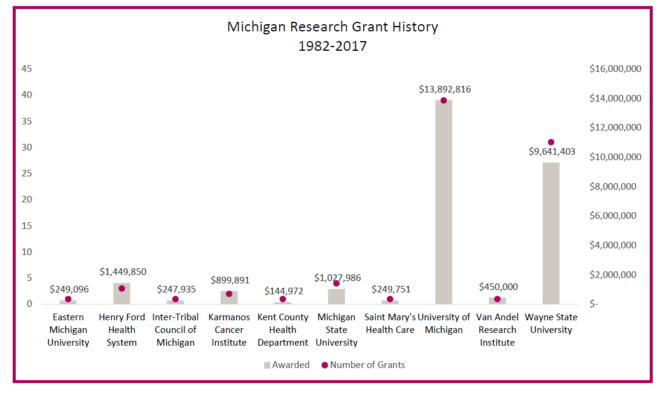 Since then, Michigan has seen 84 total research grants and a total of over $28,250,000 in funding within the state of Michigan. For more detailed research information, please visit the Susan G. Komen Research page here.